What do you do when you’re in desperate need of a getaway, but haven’t got the time (or funds) to jet off to an exotic destination? Well, you plan a mini vacation in your own city - otherwise known as a ‘staycation’! The key to any successful staycation is choosing where you’ll be based. Focus on one neighbourhood or part of the city you would like to explore. Are there restaurants or tourist destinations you’ve always wanted to try? Are you a fashionista wanting to be close to upmarket boutiques to shop up a storm; or perhaps you’re dreaming of a beachside getaway where you can take in the views and salty air but only have a weekend to enjoy? Choose a hotel that is most central to all the activities you’d like to enjoy; the good news is you can probably afford to splurge a little more than usual as you don’t have to factor in the cost of flights! The benefit of planning a staycation is that your holiday starts the moment you leave home, so ditch the car and Uber your way to your local hotel instead! With no need to worry about flying interstate or overseas, you simply don’t need the hassle of fighting your way through traffic and trying to find a park. Once you’re at your destination you can slow down, relax and get out on foot to explore. Pounding the pavement as a pedestrian is a great way to unearth those hidden gems that would be missed when driving by and you’ll feel more connected to your surroundings. Free yourself from the regular constraints of overpacking and head out the door with only the essentials in tow. Keep clothing and toiletries to a minimum so you can start enjoying your staycation as soon as you check-in. Remember to include some comfy walking shoes though as you’ll be out exploring on foot and might also feel like utilising the hotel gym! My Melbourne staycation kicked off when I checked into Novotel Melbourne On Collins. Located on fashionable Collins Street in the heart of Melbourne’s CBD, it was the perfect base for exploring Melbourne during my ultimate urban weekend getaway. The ‘Paris End’ of Collins Street is Melbourne’s premier shopping destination and home to high-end fashion boutiques, beauty and spa options, great dining and entertainment establishments and of course gorgeous heritage architecture - hence the nickname. Most of my visits to Collins Street have been during the working week, so it was lovely to be able to experience a quieter side to the city on the weekend and wind down with some retail and beauty therapy! 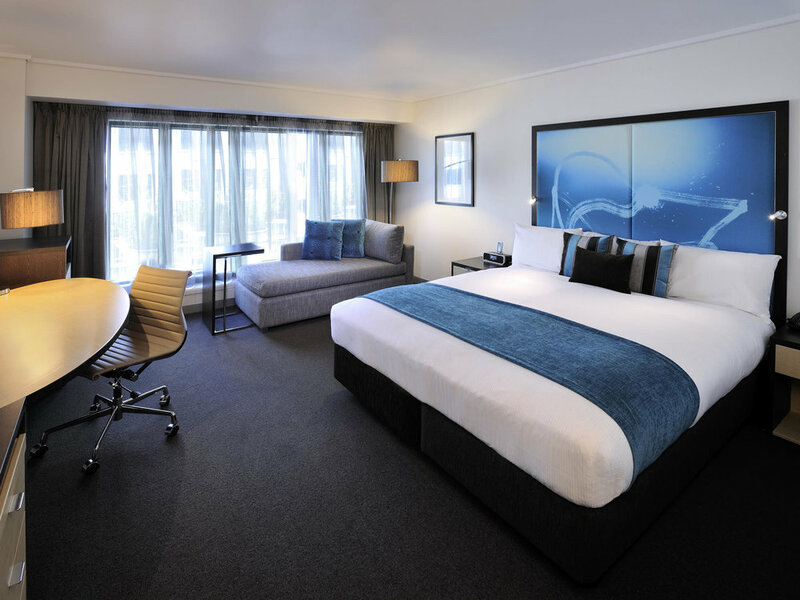 Novotel Melbourne On Collins offers spacious rooms with amenities perfectly suited for a relaxing weekend, a business stay or a combination of both. 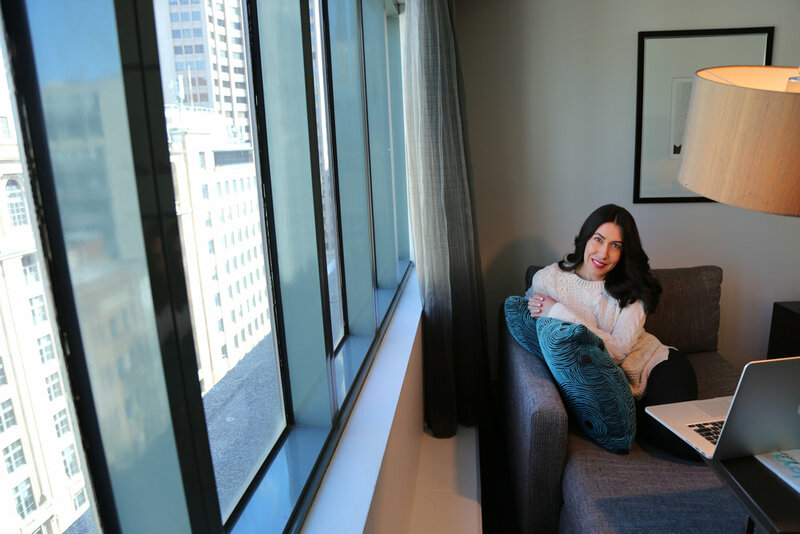 Personally, I always travel with my laptop computer so a comfy space to relax and get some work, writing or research done when needed is always a bonus….and even better when you get to enjoy a chic Collins Street vista! With Novotel Melbourne On Collins being smack bang in the heart of Melbourne’s CBD, it’s also perfectly positioned for those wanting to partake in a little retail therapy. To kick off my day of retail and beauty therapy, I headed a few doors up to Collins234, which contains everything you need for a beauty and fashion pit-stop! Skin Deep Beauty Therapy offers a full-range of facials and treatments which are bound to leave you feeling relaxed and rejuvenated - the ideal way to ease into a staycation weekend. To complete my pamper session, I then headed downstairs to Collins Nail Boutique for a manicure and pedicure followed by some fashionable footwear from Mollini, teamed with a delightful new dress from Saba. There’s nothing like having all of the essentials under one roof to make the most of your time, which makes Collins234 the perfect place to shop like a local! A staycation is the perfect time to indulge in experiences you don’t normally have access to at home…..and in my book, that means food! Kick start your hotel stay by enjoying a sumptuous buffet breakfast before heading out to explore your surroundings. 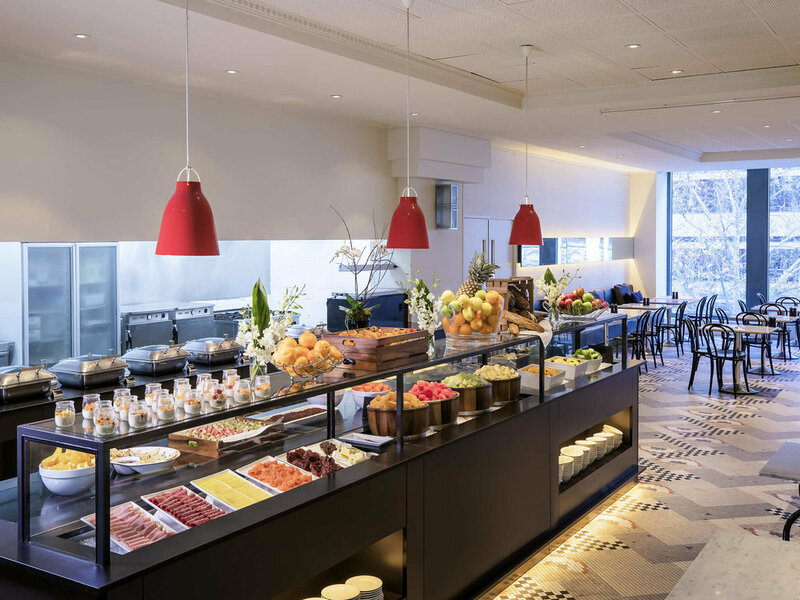 Novotel Melbourne On Collins offers a fabulous brekky feast in Lane Restaurant which overlooks the city - it’s a wonderful way to start the day and watch the bustling city come to life. Located next door to Novotel Melbourne On Collins, is the Block Arcade which houses the Hopetoun Tea Rooms. If you can push your way through the tourists taking photos of the delicious cakes in the window display, it’s well worth a visit to take in the old-world charm of the tea rooms established in 1892. Sweet tooth’s can dine in for the classic high tea experience or avoid the lines and grab a slice or three of the cakes on display to go! I opted to take a selection back to the hotel which made for the perfect midnight snack! I hope this inspires you to plan your own staycation in Melbourne! * This post was a collaboration with Collins234 and Novotel Melbourne On Collins, however the opinions are my own.